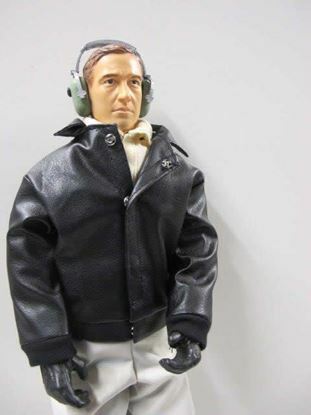 This is a highly detailed 12" tall Civilian Pilot Figure. Designed perfectly as an RC Pilot Figure. This pilot will fit perfectly in your large 1/5 and 1/6 Scale planes. All figures are fully articulating. Come with a wire frame body that can be put into any position. This Pilot only weighs 8 oz.